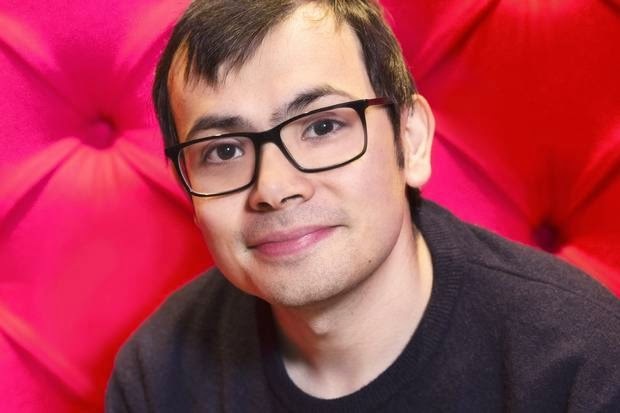 Demis Hassabis was a chess prodigy, games designer and academic in ‘memory theory’. He quit all this to start an AI company based on his understanding of how the brain and memory works. That company, DeepMind was sold in 2014 for $628 million. This matters to learning professionals. DeepMind focused on deep learning algorithms that could take on complex tasks, and here’s the rub - without prior knowledge and training. This is the key point – AI that can ‘learn’ to do anything. They stunned the AI community when their system played a number of computer games and became expert gamers. The achievement was astonishing, as the software didn’t know about these games when it started. It was like opening up a present from Santa, picking up the controls, looking at the display, seeing how the scoring worked and just learning from trial and error. My son has been using these algorithms in a project to produce software that plays 5-block Tetris. The algorithm plays the game and learns by going through tens of thousands of iterations, cleverly learning from experience, both success and failure. It deliberately takes random weights to mimic a range of behaviour, then rewards or punishes behaviour. The problem is over-learning and genetic degeneration, a narrowing of choices. This means restarting the process to preserve variety. It works. They’re about to try it using the added 3D visualisation on the Oculus. So where was I? Yes, Hassabis focused on the hippocampus, as that’s where episodic memory is consolidated. He found, through a study of five brain-damaged patients, that memory loss, caused by damage to the hippocampus, was accompanied by loss of imagination (the ability to plan and think into the future). This was a fascinating insight, as he realised that the process of reinforcement, was the real force in learning, practice makes perfect if you will (sound familiar). This link between memory and imagination was backed up by other studies in brain scanning and rats. This doesn’t surprise fans of spaced-practice, like me. We’ve been banging on about this for years, even producing software that delivers spaced-practice for any learning experience. This focus on the reinforcement and consolidation of learnt practice, deliberate practice, as it’s known, when captured and executed algorithmically, generates expertise. Of course, in software, there’s no need to ‘space’ anything as the maths and storage are in some ways superior to the brain. Deep Learning takes some aspects of human learning, such as networks of simulated neurons, but uses network memory and reinforcement techniques in ways that are similar but very different from human cognition. Computers, now that they can ‘learn’, learn 24/7 and at great speed. They execute mathematical algorithms perfectly, store the results digitally and therefore flawlessly. Once you get rid of the limitations of the ‘meat’ that is our brain, learning is quick, almost instantaneous. The point is not to mimic human performance but improve it. Google is the obvious buyer for this type of company, as it thinks in terms of deep, basic problems, looking for generic solutions. Google has the eyeballs, brains and behavioural traits of billions of humans. They have the data that matters. This means they can apply Deep Learning solutions on scale. But they’re not the only game in town. IBM’s Watson is set to deliver AI on tap, Microsoft are using AI in their services and the Chinese search giant Baidu are all hiring, buying and experimenting. These are not ‘conscious’ brains, humans-like computers, with ‘consciousness’. That is not the point (yet). We didn’t learn to fly by mimicking what birds do. We fly around the planet in fixed wing aircraft because we perfected the technology of flight. Computers are not brains, they are in many ways better than brains – their ability to calculate and memory (storage and recall), for example, is perfect. The problems lie elsewhere as deep learning exists in very smart computers that have to ‘learn’ from experience. This is now happening, as computers can see, hear, touch and even smell better than humans. Understanding language is trickier but we’re almost there. Learning; deep learning, fast learning and machine learning is progressing fast and promises to deliver an alternative world of learnt skills on an unimaginable scale. We may well move from having a skills shortage to a skills surplus. White Collar decision-making work and professional skills may be washed out as they are outperformed by computers. A lot of people may be out of business when this bites, even humans themselves? The Age of Algorithms is definitely here. Why are the Maths Zealots in our schools? Why Online Educa Berlin is just so damn much fun! Oculus Rift: consumer release – what & when?